Italian cars have a bit of a reputation for poor reliability, design issues and sub-par build quality. Whether deserved or not, it’s their reputation. But for now, let’s just understand that Italian cars aren’t the most dependable or durable, especially when compared to their German or Japanese counterparts. However, Italian cars often have their faults overlooked, due to immeasurable virtues, intangible desirables. For instance, it’s almost impossible to drive and Italian car and complain about its issues without saying “But, it’s just so [insert superlative adjective here]. There’s something about Italian cars that, despite their faults, make you want to drive them. And that sentiment rings holds for the Alfa Romeo Stelvio. 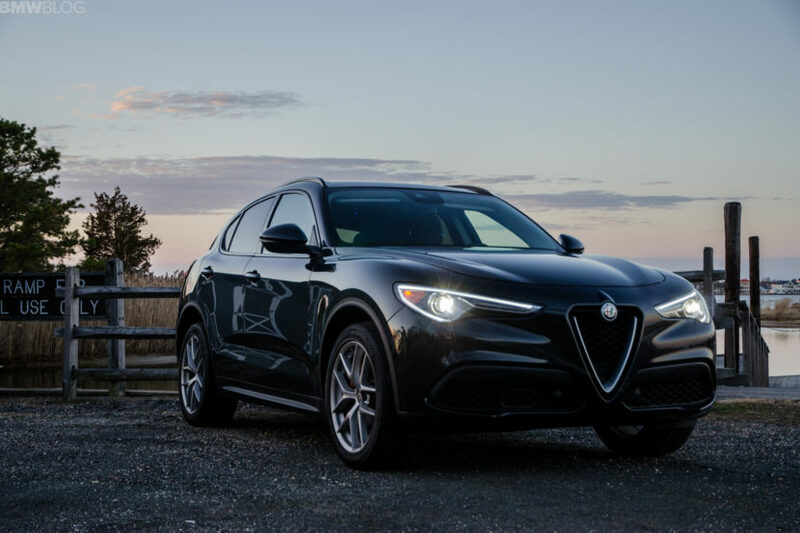 In an attempt to be seen as a real player in the world of premium car brands, Alfa Romeo has decided to debut the Stelvio, the brand’s first ever SUV. 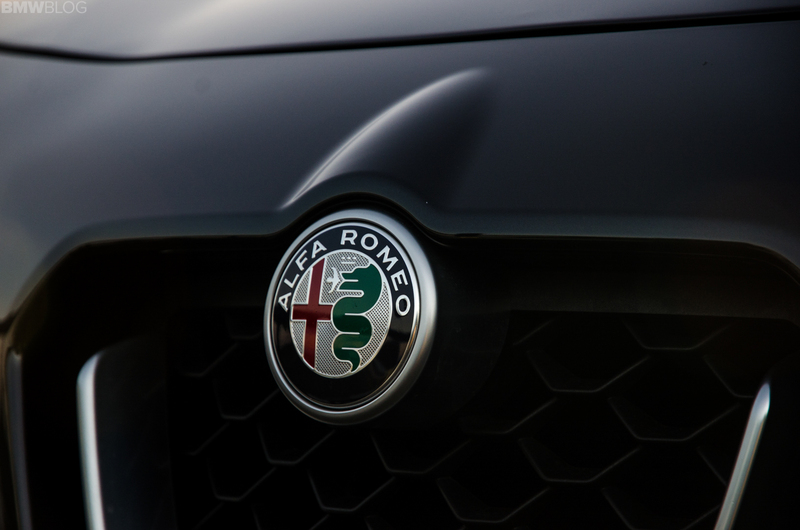 An SUV for Alfa is every bit as shocking an idea as it was for Porsche, BMW and Mercedes-Benz. Alas, here it is, the Alfa Romeo Stelvio. It’s been designed to be a direct competitor to the BMW X3, Audi Q5 and Mercedes-Benz GLC-Class. In terms of size, performance and price, it’s on par with all of its German competitors. 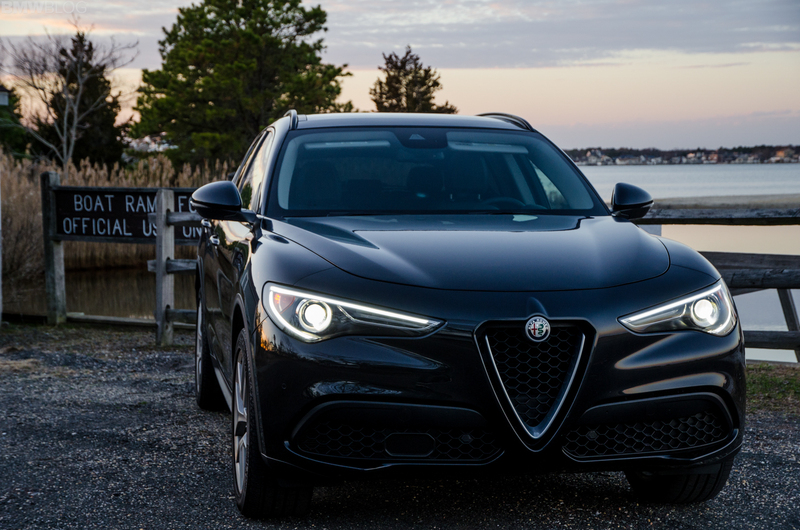 The Stelvio is based on the same rear-wheel drive chassis as the Giulia sedan, a car that we drove last summer and loved. So it’s built on good bones, which is a good start. But we already know how good the Giulia is and we know that Alfa can make a fine handling car. When people think Alfa Romeo, they think of the old-school Giulietta Spider or the 6C or even the more recent 8C. What they think of is passion, performance and style. No practicality. However, if Alfa wants to hang with BMW, Mercedes-Benz and Audi, it’s going to need to have a sensible SUV, something that shows it’s serious about being a mainstream luxury brand. But is Alfa Romeo, a brand more known for lovable screw-ups, the best brand to do sensible? 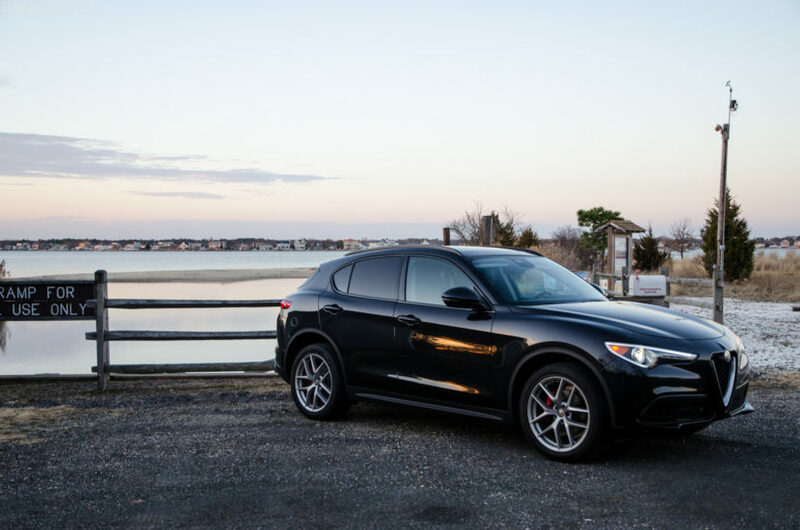 There’s no question, the Alfa Romeo Stelvio is a pretty SUV. From the outside, the Stelvio may very well be the second prettiest SUV on the road, falling only to the stunning Jaguar F-Pace. SUVs need to be practical, so there’s always a boxy element to their styling, so as to offer the most interior, passenger and cargo room as possible. As typical with Italians, they decided stuff that idea and made it curvaceous, swoopy and pretty. No country does drama like the Italians, at least when it comes to cars. That remains true with the Stelvio. Just walking up to it stirs the emotions. It looks so good, so dynamic and so very different from the sea of boxy, boring SUVs. Even cars that I like a lot, such as the BMW X3, have nothing on the Stelvio in terms of sheer presence. And our tester was black, which is probably the least exciting color choice possible, and it was still a stunner. The Stelvio is red is a knockout. Admittedly, its design isn’t perfect. It gets a bit dumpy at the rear and the radar sensor in the passenger-side front air intake looks out of place and odd. That’s not enough to stop people from staring, though. I received numerous compliments about the Stelvio during my week with it. People want to know what it is, how much it costs and how fast it is. Despite being a sensible SUV with a four-cylinder engine, the Stelvio looks more exotic than what normal suburbanites will ever see. I even had one bystander walk up to the car, ask me to roll down my window and ask if he should trade in his Mercedes-AMG GLC43 for it. It gets quite a bit of attention and deservedly so. There are some minor annoyances with it, though. For instance, when you unlock the car, there’s no beep or chirp, only the mechanical sound of the doors unlocking. Normally, that’s not a problem. However, on the Stelvio, that sound is cheap, loud and plasticky. It sounds like Fisher Price built the locking mechanism and it’s unbecoming of a car in its price range. Also, when you close the door, they close with a sloppy sound, unlike the granite-solid *thwump* of a BMW X3’s doors. Hell, I tested a Mazda CX-9 that had a more premium door-shut sound than this. Which is disappointing in such a good looking car. Once inside the Stelvio, you’re met with similar pros and cons as the outside. 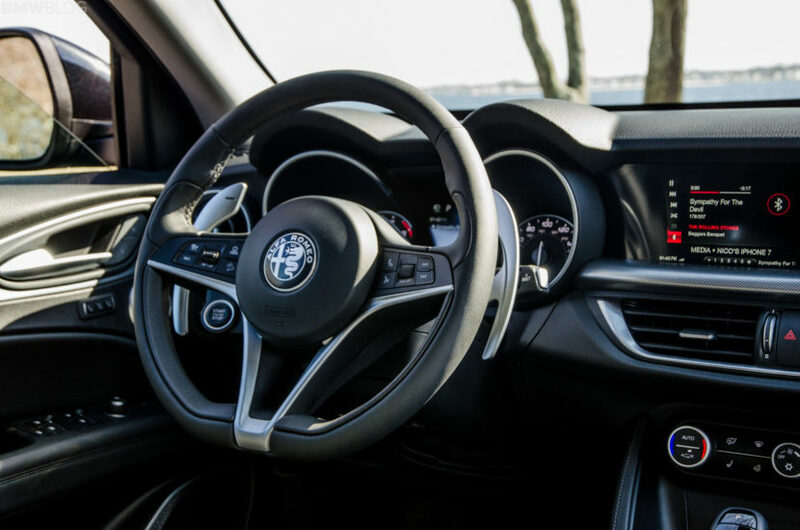 The interior design of the Stevlio is not unlike the Giulia upon which its based. Which is a good thing, as the design is sporty, modern and exciting. 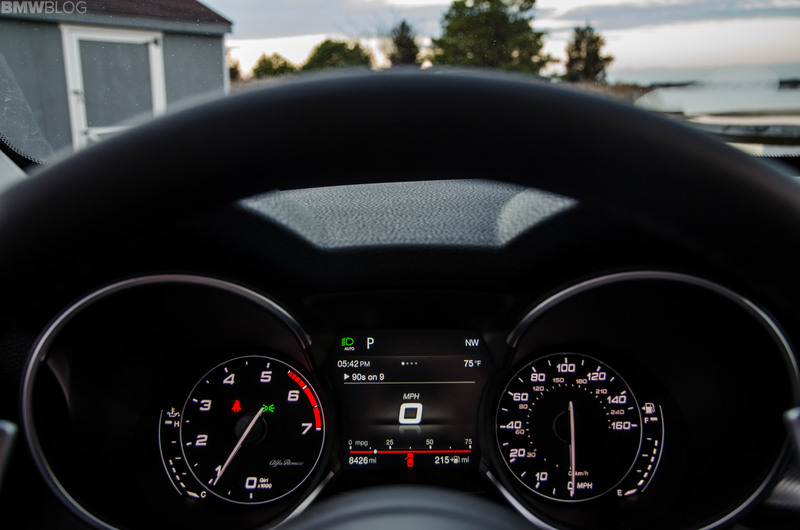 I personally love the design of the steering wheel, gauges, dashboard and infotainment screen. It all looks very cool and fits the sporty nature of the exterior design. However, when you start to actually touch things, disappointment arises. For instance, the shift lever feels as if it costs less than a stick of gum. It’s plasticky, flimsy and even has sharp plastic edges. It’s just not a quality feeling item and that’s just not okay in a car as expensive as this. To be honest, I’d be disappointed with that shifter in a Civic. Also, the rotary knob, which is similar to that of BMW’s iDrive, feels flimsy and as if it’s going to come right off in your hand. Then there’s the infotainment system itself, which features low-res graphics and pretty limited functionality. The nav screen is also pretty hard to see and read, as it’s a bit low res. Using your phone with Google Maps and a dash mount is probably preferable. It’s not terrible but it feels dated already and the Stevlio debuted late last year. There is a better navigation option with “3D Nav” but it costs $950 on top of the already quite high sticker price of $49,940 (as-tested). By far and away my biggest complaint, though, is with its backup camera. 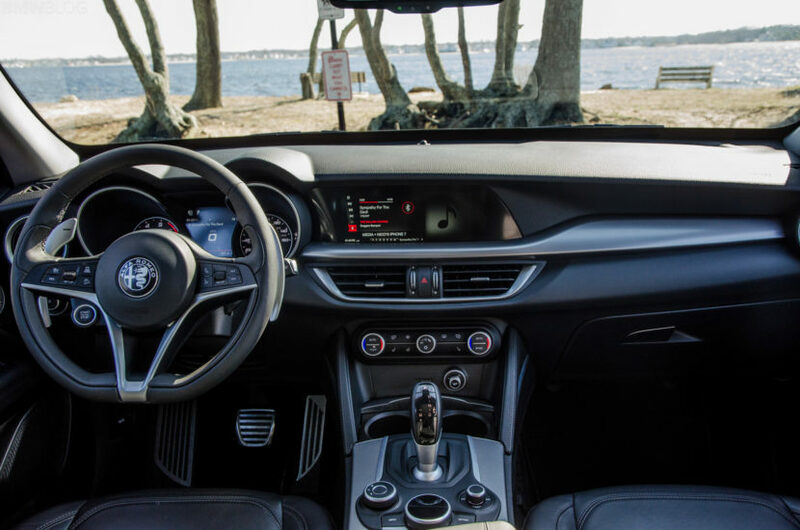 I know I’ve become a bit spoiled by BMW’s astonishingly brilliant surround-view camera system but the backup camera in the Stelvio is embarrassing. It’s small, horribly low-res and almost impossible to use in anything but excellent lighting. It’s inexcusable in 2018, to be honest, especially at its price point. 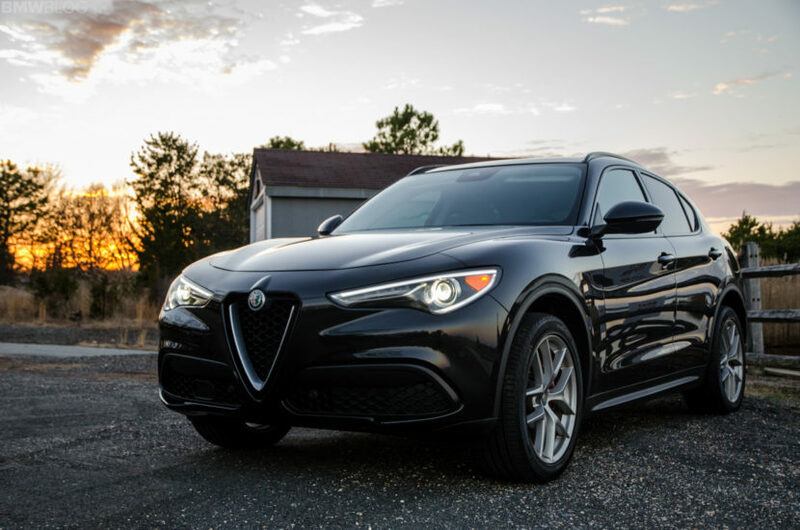 This isn’t a sub-$20k econobox, it’s an Alfa Romeo SUV and it should, at the very least, have a backup camera that’s comparable to some of the cars in its segment. However, a lot of its interior annoyances are made up for by having some flashes of brilliance. For instance, the seating position is superb, much better than the Audi Q5 I drove recently. 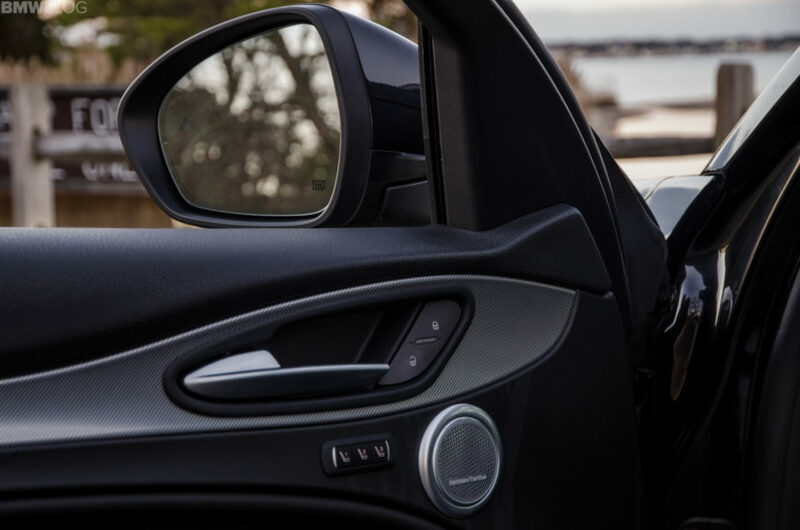 You can adjust the seat nice and low, as a sporty car should allow, while still being able to see over the scuttle. The steering wheel adjustments are also great, so I was able to get nice and comfortable quick. Also, the steering wheel itself is fantastic. It’s spindle-thin, which is a nice contrast to BMW’s slightly obese wheels, and feels great in hand. While the outer rim is covered in leather, there are the curious bits of vinyl-like material on the thumb bolsters. They aren’t bad, just odd. It’s also the right size, the steering wheel, and is just lovely to use. The best part of the entire interior, though? Those absolutely incredible aluminum paddle shifters. They’re massive and mounted to the column, like you’d get in a Ferrari and they make driving the Stevlio significantly more enjoyable. I know that sounds silly but its true. They feel incredible, because they’re entirely aluminum and not plastic (are you listening BMW and Audi?). When it’s cold, they feel cold. When it’s hot, they feel hot. They just feel expensive and they move with a tactile, metallic *click*, so they’re quite satisfying to actually use. Just lovely. But the Stelvio is an SUV after all. So how good is its “Utility”? Well, it’s okay. Its back seat is a bit cramped. It’s not as bad as it looks from the outside but it is a bit tight. For me to put a car seat in the back, the front passenger seat had to be so far up that my wife’s knees were almost touching the dashboard and she’s only 5’4″. Its trunk is also a bit on the smaller side, though it does have quite a few practical little features, such as sliding rails with little adjustable hook points and some nice under-floor storage. When loading all of my son’s absurd amount of gear (an obnoxious amount of different bounce seats and swings), it was able to accommodate all of it, only just. Overall, it’s a decently practical little SUV but it isn’t as capacious as, say, the Audi Q5. Our tester was the Stelvio Ti Sport AWD model, not the super-hot Quadrifolio. So it packed a 2.0 liter turbocharged four-cylinder engine that made a very healthy 280 hp and 306 lb-ft of torque. 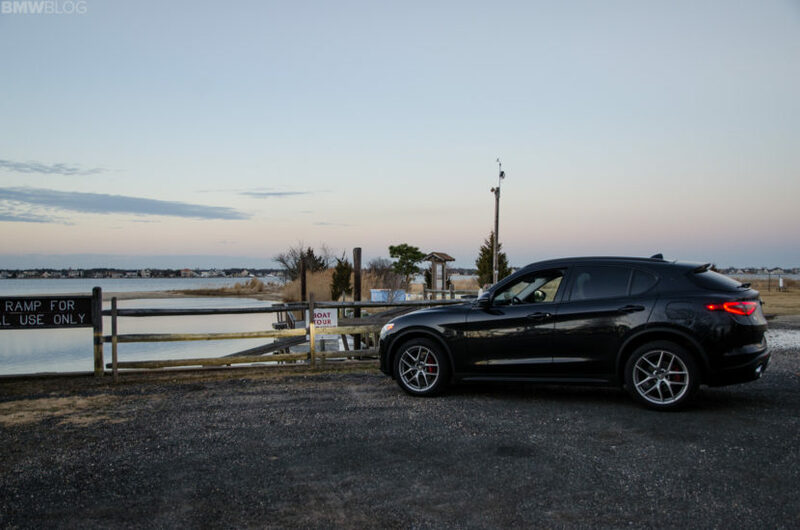 That’s quite a bit more than the BMW X3 xDrive30i’s 248 hp and 258 lb-ft. Its extra power shows, as it’s quick. It can get from 0-60 mph in about 5.4 seconds, which is about half a second quicker than the equivalent X3. On the road, it feels surprisingly quick and is very punchy. There’s a bit of lag low down but once it’s on boost, it hustles. I do wish it sounded better, though. There’s a gravelly coarseness to the way the engine feels and sounds and it’s nowhere near as silky smooth as BMW’s B48 engine in the X3. Having said that, its roughness can be fun and sort of exciting when pushing it hard and it is punchy. That little turbo-four is mated to an eight-speed ZF-sourced automatic gearbox, same as the X3. For the most part, it’s smooth and quick, making easy work of driving quickly. 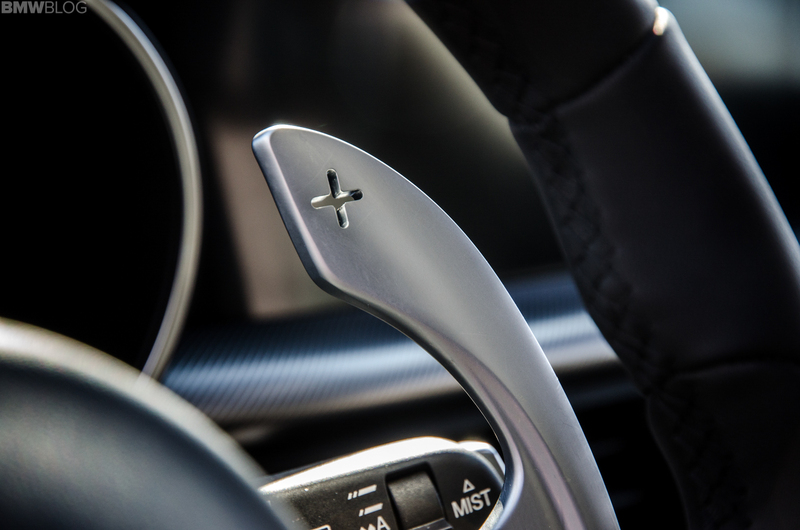 Plus, you get to use those superb paddles when driving in manual mode and that can mask a lot of issues. And there are some, here. While the ZF eight-speed is flawless in almost every application it’s used, as it’s the go-to automatic for almost every automaker at the moment, Alfa has managed to add some issues of its own. 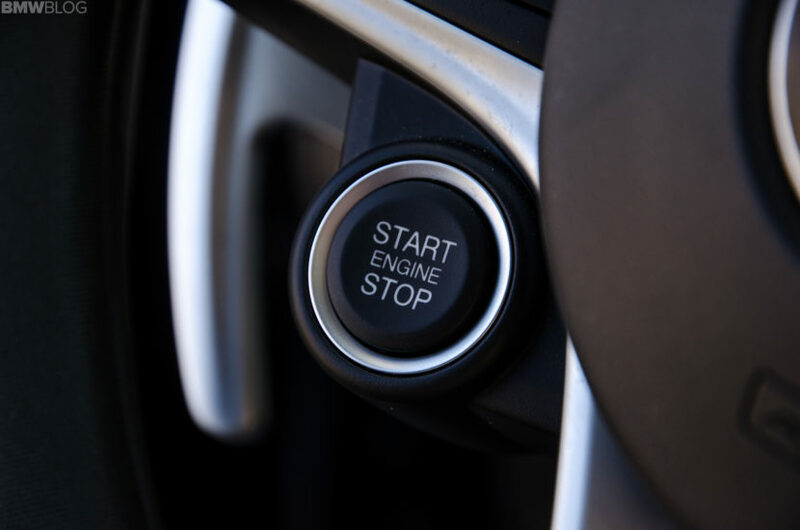 For instance, at idle, when in gear, you can feel some unwanted vibration. 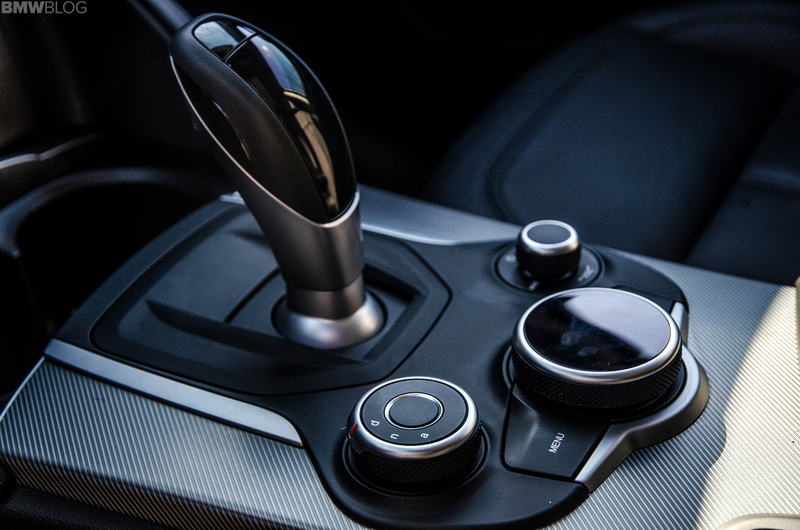 In neutral, it’s smooth but once you click over to drive or reverse, you get some unwelcome jitters. 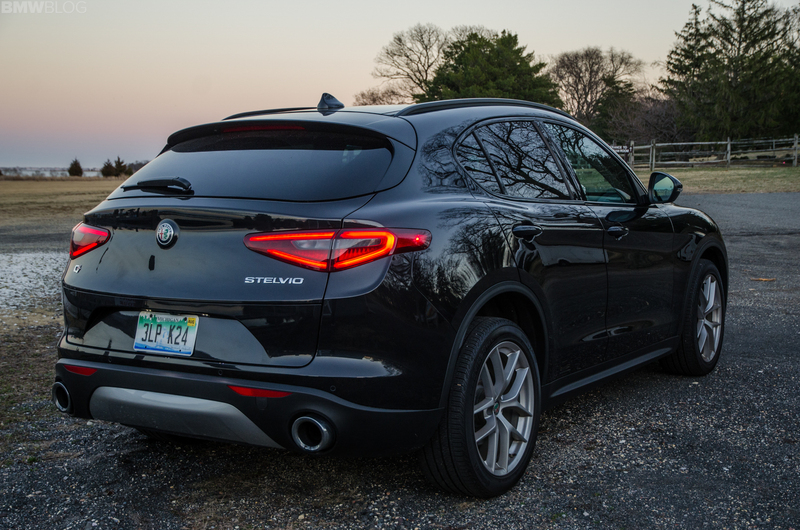 As a whole, though, the Stelvio’s powertain is good and makes the little Alfa SUV fun to drive quickly. It could use some added refinement but its performance and driver enjoyment outweigh its slight coarseness. Does it have that Italian Soulfulness? As mentioned before, Italian cars typically make up for their annoying faults by being exciting and soulful to drive. So does that apply to the Stelvio? As a whole, yes, it does. Though, not as much so as in the Giulia. That’s to be expected, if we’re being honest, as the Stelvio is a taller-riding SUV, not a sleek sport sedan. Still, though, it drives with an enthusiasm that most other SUVs simply can’t and it’s more enjoyable to drive than you might imagine. Steering is good, with a very typical Alfa Romeo feel. So it’s incredibly light but ultra quick and very direct. 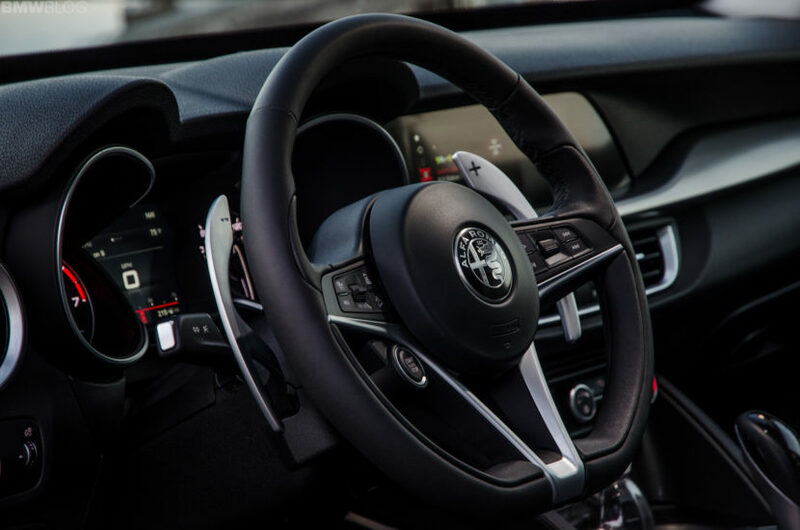 Much like you’d find in a Ferrari, the Stelvio’s steering is almost too fast. What’s odd is that you’d imagine the steering in the Stelvio to have a touch slower ratio than the Giulia, as it’s an SUV. However, they feel about the same and that makes the front end of the Stelvio feel a bit too nervous at times, as it’s moving quite a bit more mass around but trying to do so every bit as quickly as the much smaller Giulia. So quick left/right maneuvers are possible but feel uneasy. Having said that, under most circumstances, the steering is very sharp, accurate and a delight to use. It’s actually probably the best part of the car. 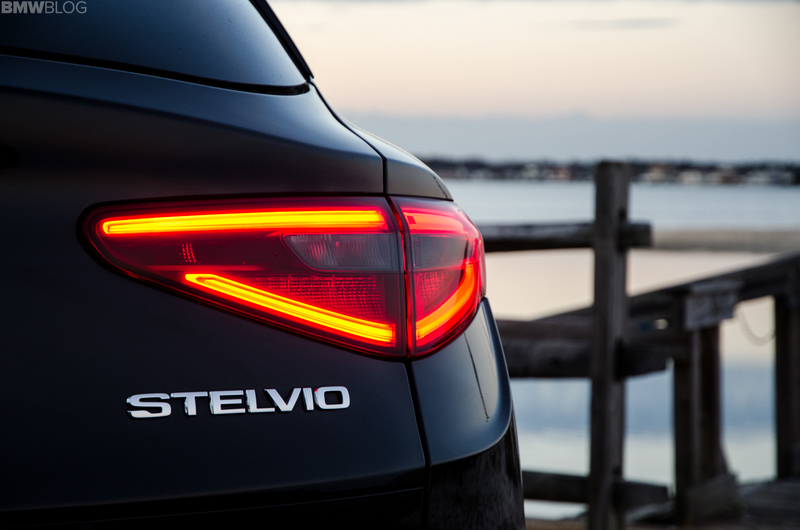 Being based on the Giulia chassis, the Stevlio is also a natural athlete. Yes, the steering is quick but the rest of the car follows beautifully. For an SUV, it feels properly sorted and you can actually flog it without worry. What’s refreshing also is that it feels rear-driven most of the time. Unless you’re pushing it hard enough to cause it to understeer, the front wheels rarely ever show their work. So it rotates really quite nicely through corners, like a rear-drive sedan. When you do push it hard, 8/10s or more, it tends to feel a bit uneasy, though. It is still an SUV and you can only cheat physics for so long, especially on this standard Stelvio. The Quadrifoglio is likely far more capable a machine. Where I was a bit disappointed was in its ride, though. 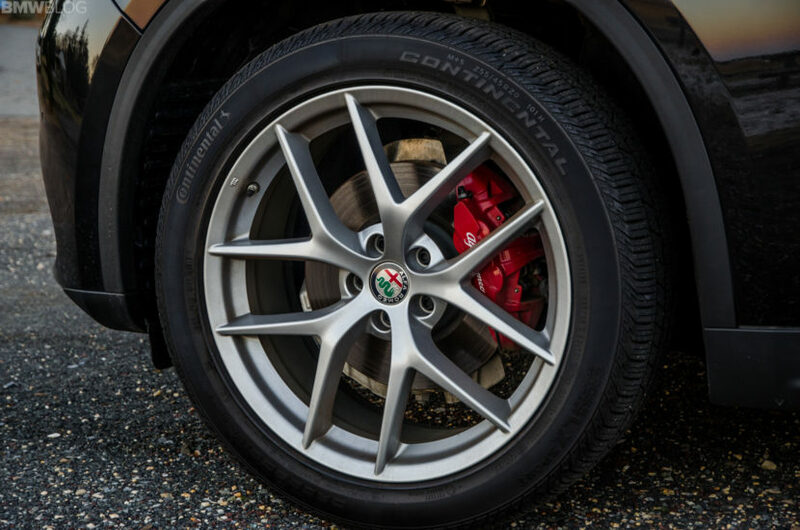 When I drove the Giulia Quadrifoglio last summer, I was shocked at how well it rode. It was stiff, sure, but wonderfully damped and its ride in its “Bumpy Road” mode was perfectly judged. In fact, its ride was is one of the areas where I think the Quadrifoglio crushes the BMW M3, which is a bit too stiff. However, the Alfa Romeo Stelvio, despite being based on the wonderful-riding Giulia, actually doesn’t ride as well. Its suspensions tuning is just a bit off. It’s a bit firm, which would normally make it feel sporty, but there’s also too many secondary vertical motions. So you feel a sharp initial impact from a bump, like a sport sedan, and then it sort of pitches and heaves, like a typical SUV. So you get the worst of both worlds. It’s not terrible, to be honest, it’s just not as good as I had expected. I’m not mad, just disappointed. When you’re driving it in a spirited fashion, though, its somewhat sloppy ride tends to disappear and you can properly enjoy it, thanks to its great steering, impressive chassis dynamics and punchy engine. Oh, and those superb aluminum paddles. Italians have a gift for under-delivering but somehow doing it with such charm, beauty and grace that the world loves them for it. The Leaning Tower of Pisa is a building that is literally falling over and the Italians just say “Ehh, it’s okay-ah”. And rather than stay away from the tipping building for fear of disaster, millions of tourists visit it every year and find it beautiful. Because it is. And that’s sort of the Alfa Romeo Stelvio. It’s a lovable car and one I really liked driving but I can’t exactly explain why. It’s a bit sloppy, coarse and unrefined. But there’s something charming about it, something that made me keep going back for more. 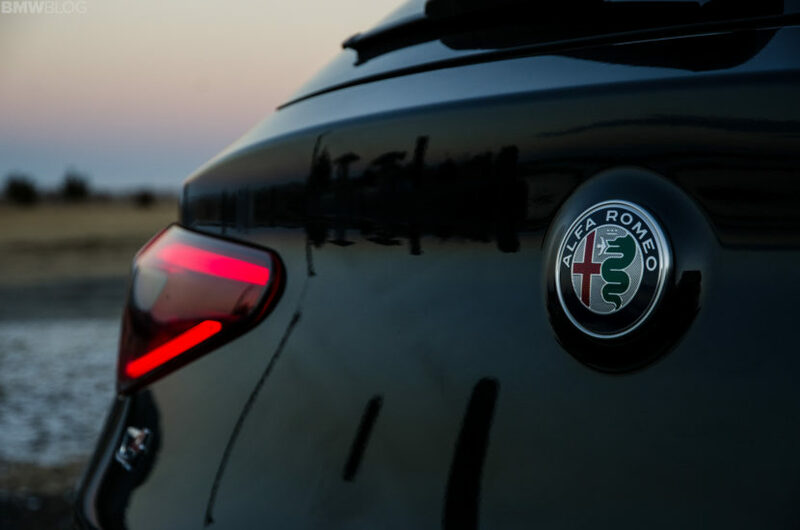 An intangible Alfa-ness. Maybe it’s the way it looks, maybe it’s the cool features like the incredible paddle shifters or maybe I just bought into the badge on the hood. 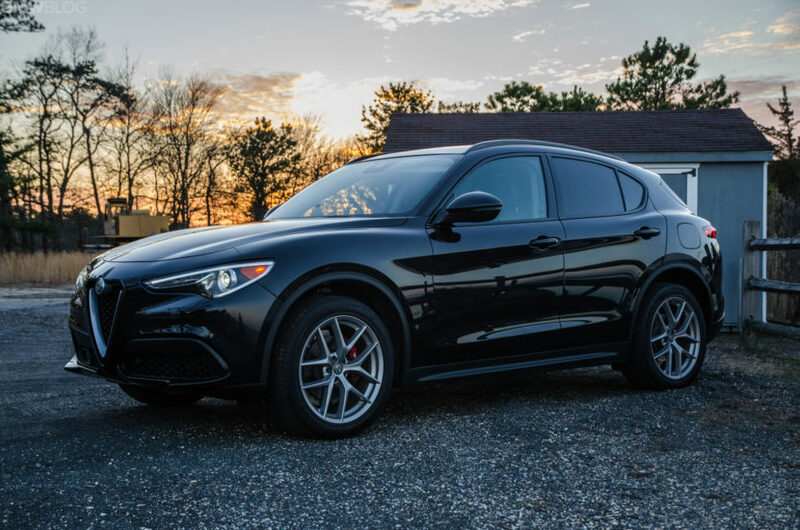 Whatever the reason, the Alfa Romeo Stelvio is a deeply flawed car but one I like quite a bit. And I think you would, too.